Would you like to learn how to perform freediving dives safely? 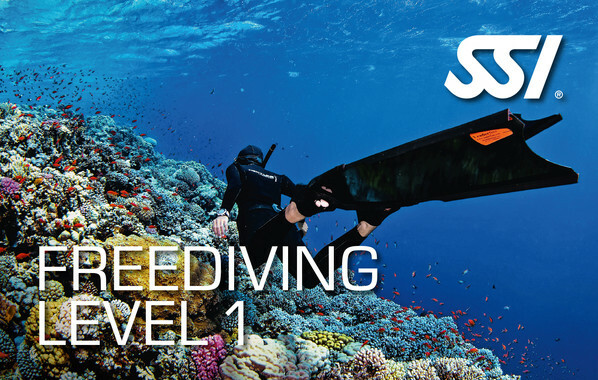 Then the SSI course “Freediving Level 1” is exactly the right thing for you. Here you will learn the basics you need to know to dive into the fascinating world of freediving. So, you learn how to reach depths of up to 20 meters together with your buddy – without the need for oxygen supply equipment! Thanks to DiveNow, you can easily complete all theory lessons via eLearning at any time and place of your choice! There are hardly any prerequisites for Freediving Level 1 certification. You must have a minimum age of 12 years and can swim.